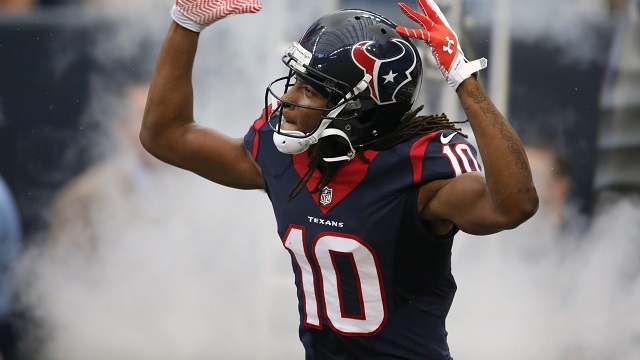 Time for preview and predictions for the AFC South in Week 8! The Colts have been unpredictable, much of which might be due to Andrew Luck being an unpredictable quarterback this season. While the Carolina Panthers fight to remain undefeated, the Colts are just trying to stay ahead in the AFC South division. The Colts are at the top of the league in tackles with 513, in addition to having 10 sacks, 7 interceptions and 2 which have led to a touchdown. The Panthers, however, haven’t been bad on defense either, with 428 tackles, 18 sacks and 9 interceptions of which 2 have led to a touchdown. 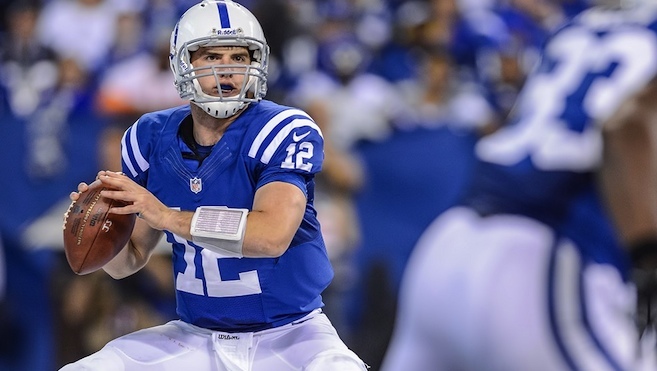 There’s no doubt that a healthy and confident Andrew Luck is better than Cam Newton. According to Football Outsiders DVOA (Defense-Adjusted Value Over Average), in 2014, when both quarterbacks were healthy, Luck was considered the 11th best quarterback, while Newton was 33rd. In 2015, a healthy Cam Newton barely edges out an injured Andrew Luck in DVOA 26 to 27. With Luck at almost 100%, I’d expect Luck to be much improved for the remainder of the season, perhaps beginning against Carolina. T.Y. Hilton has been Luck’s go-to receiver since returning to the field. Luck has also created a rapport with Donte Moncrief. It won’t be easy for the Panthers defense to double team both of these receivers, so Luck should have some options, including using Frank Gore in the backfield. It’s anyone’s guess which Luck will play in Sunday’s game, and the Panthers will have home field advantage, but I think the Colts start putting it together this week. Colts defeat the undefeated Panthers at home. Expect Frank Gore to have at least 100 yards and a TD. Expect the Colts defense to have a defensive touchdown. Expect Cam Newton to have 2 interceptions. The Titans lead 15-11 in the divisional rivalry against the Texans since 2002, when the Texans joined the AFC South. This Sunday will be the first time these two teams face-off in the 2015 season. And although both teams have had issues on the field, both teams still have a chance to win the division. The Texans are 1 game away from the division leader, the Indianapolis Colts, and the Titans are 2 games out. 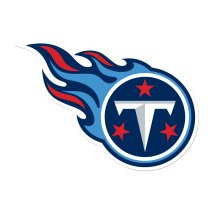 The Titans finished the 2014 season with the second to last worst record in the league, behind the Tampa Bay Buccaneers. Not surprisingly, or maybe surprisingly, being 2 games out still has the Titans in last place in their division in a race to see who will be the worst team in the AFC South. Zach Mettenberger will start on Sunday’s game while Marcus Mariota sits out for another week dealing with his knee injury. In week 7, the Titans defense was able to hold a not-so-impressive Atlanta Falcons team to only ten points, while the offense put up seven. Kendell Wright scored the only touchdown. The Titans aren’t the only team that rely on their defense to win games, but they are the only team that rely on their defense and are 1-5 in the league. And believe it or not, the Titans defense is ranked 9th in the NFL pursuant to Football Outsiders DAVE statistic, just one place behind the Seattle Seahawks. 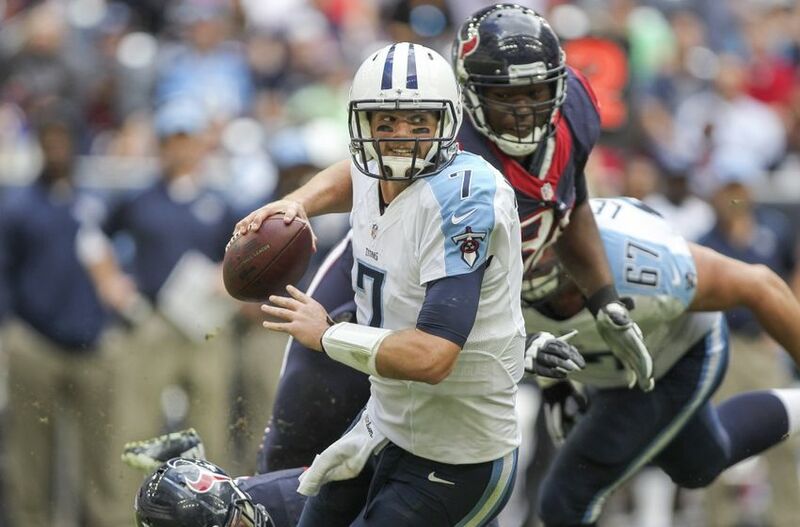 With Mettenberger under center, the Titans will have to play smart if they want to win. Using the run game with some combination of Antonio Andrews and Dexter McCluster to relieve some pressure from the pass rush and holding the line of scrimmage so as to give Mettenberger time to connect with his receivers will be key if the Titans want a win. If the Texans win (and the Indianapolis Colts lose), the Texans will tie as division leaders. Crazy…I know. The Texans had some bad luck in week 7, losing running back Arian Foster to an Achilles injury. Head Coach Bill O’Brian also released Ryan Mallett, the team’s back-up (kind-of) because he missed the flight to Miami, in addition to simply not being an even passable team player. There won’t be any love-lost between the Texans and Mallett, who was given the opportunity to run with the starting job, and failed to take advantage. Brian Hoyer has been serviceable though, particularly with Deandre Hopkins and Nate Washington having breakout years. We know the issues on offense, but what was thought to be a strong defense, lead by one of the leagues best defensive players in J.J. Watt, has actually been fairly mediocre this season. The Texans currently rank 28th in scoring defense this season, with J.J. Watt having some of the worse stats of his career. Neither team has an overwhelming advantage in this divisional game. Expect Texans quarterback Brian Hoyer to outscore Zack Mettenberger. Expect the Titans defense to score a touchdown. With no running game, expect DeAndre Hopkins to get 100+ yards and 2 TDs, something he wasn’t able to do against the Miami Dolphins. Expect Kendell Wright to catch the only Titans passing TD in the game, again.